I have posted a draft list for the People Sourcing Tools Survey that I plan to run to run on my sourcing- and social recruiting-related groups and the Ning network. By no means am I trying to create an exhaustive list of tools, but I didn’t want to miss anything “major”. I have also shared the draft with the active, well-run Google+ Community “Social Recruiting” moderated by the Wise Man Say Hun Lee and by Oscar Mager and got some great suggestions there. Thanks a lot for all the suggestions! This feels like an exciting project, and a way for many of us to compare notes and to learn about tools that we haven’t investigated yet. I feel that it might be useful to go over the extra suggestions I got up till now. Of course, this reflects my own subjective views; I am happy to hear alternative views and more suggestions. I am also interested to hear more about some tools I am not as familiar with. International Social Networks: Orkut, XING, and Viadeo. Interestingly, nobody has suggested the Facebook graph search and I missed it in the first draft. We should certainly include it. Searching for people on Google-Plus just got a much cleaner User Interface. It is not to be missed. There is a variety of other sourcing tricks on Google-Plus. More than one person has mentioned Plaxo; I am not sure how widely it is used these days. A note on theSocialCV suggestion: it is now the Dice Open Web and is included. These could be good educational sites if they maintain good example searches, but not sourcing sites. I plan to survey the mainstream tools, and not necessarily everything there is. APIs such as Talentdrive/Talentfilter. These sound interesting, but don’t think an API can be considered a sourcing tool. If there’s an app using the APIs, with no need to write code, please let me know. Andy Headworth has brought this site to everyone’s attention: Mention.net. I’d like to mention it here; Andy says it is a much better alert system than Google alerts. I have some doubts about its wide usage. 4. 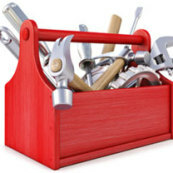 I don’t know enough about these tools suggested to me; are these people sourcing tools? Can you look for target professionals using these? 5. These are membership sites, not people sourcing tools: Github; Stackoverflow; IEEE; etc. Thanks to all the great suggestions so far! If I have missed some suggestions that you feel are important please let me know. Hi Irina, for international search you may want to also include http://www.ushi.com, it works similar to Linkedin in Asia. Hi Irina, a great site for RSS Feed aggregation is netvibes.com Check it out.